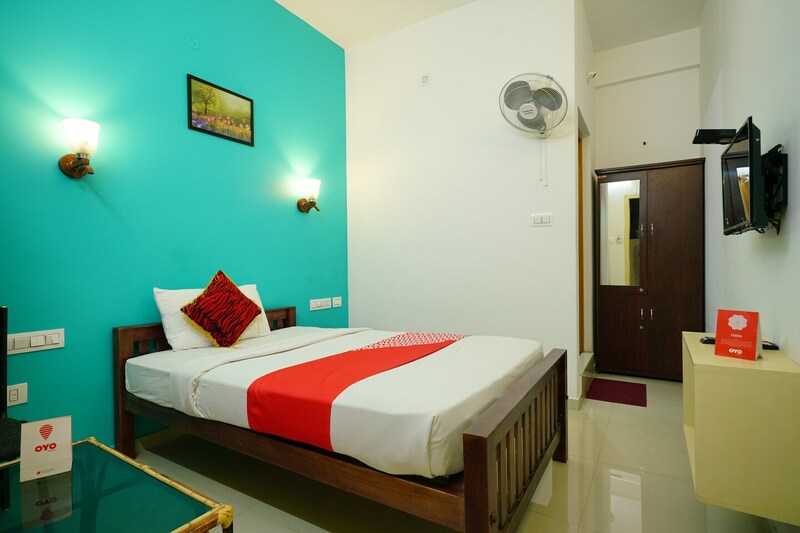 Rayan Residency has an exterior of reflective windows, inviting guests to rooms that are colourful and comfortable, providing an enjoyable stay at pocket-friendly prices. The rooms are compact, designed with light tones and a single accent wall painted in vivid-colours acting as a statement. Small artwork, dark furnishings and long flowing curtains complete the look of the rooms by adding contrast and style to the already well-designed space. The property offers a common seating area, free WiFi service, power backup and a conference room. Rayan Residency has a parking facility for guests to securely keep their private vehicles. A CCTV camera setup is also in place for extra security. Friendly staff help make the stay relaxing and refreshing for the guests.